The Dedanaw Project, Myanmar. The changing face of women for small-scale aquaculture in Bangladesh. Strengthening capacity of small holders in ASEAN. Carp seed production in Orissa, India. Sustainable mountain paddy-fish farming of the Apatani tribes. The economic impacts of whitespot virus on shrimp production in Iran. Current practices of marine finfish cage culture in China, Indonesia, Thailand and Vietnam. Effects of trash fish on growth and body composition of cobia. 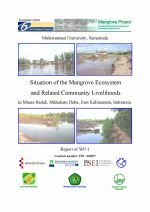 This reports describes the status of mangrove ecosystems and associated communities in the Mahakam Delta, Indonesia. It describes historical degradation of the mangrove ecosystems for shrimp farming and land speculation. The report describes the livelihoods of the local communities, their usage and connections with the mangrove forests and farming activities, and socio-economic factors impeding the restoration of mangrove habitats, which are in large part related to poverty. Attempts to replant areas are described. This report examines the role mariculture could play in reducing poverty and providing alternative livelihood opportunities for people living in coastal areas. 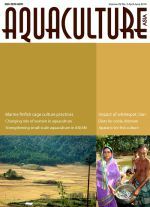 This includes a review of the current status of coastal poverty, coastal livelihoods and vulnerabilities within the Asia-Pacific region and the experiences and examples of sustainable economic development through mariculture. 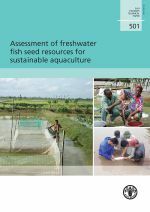 This review then identifies key follow-up actions and recommends strategies for future pro-poor mariculture development. 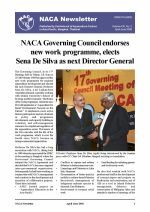 NACA Governing Council endorses new work programme, elects Sena De Silva as next Director General. RapiDot Kit - Farmer friendly kit for WSSV detection. Regional mariculture program strengthened. 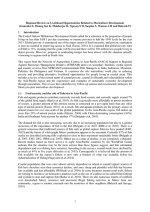 Economics and marketing analysis of the live reef fish food trade in the Asia-Pacific. Workshop on molecular techniques in aquaculture and seafood safety, Mangalore, India. Better-practice approaches for culture-based fisheries development in Asia. High-level Bahrain fisheries deletation visits Iran. First monthly meeting of fish farmers at One-stop Aqua Shop in Punjab Pakistan. Fish breeding training program for farmers of OAS, Kaipara. Provincial workshops on National Fisheries Policy and Strategy Framework held in Punjab and Sindh, Pakistan. 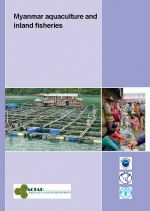 Monitoring and evaluating the impacts of aquaculture on the agency and well-being of women. STREAM welcomes AYAD volunteer. Workshop to strengthen aquatic animal health capacity and biosecurity in ASEAN. Asian Federation for Information Technology in Agriculture (AFITA) 2006 in Bangalore. Aquaculture rehabilitation project launched by Indonesian Minister of Marine Affairs and Fisheries. 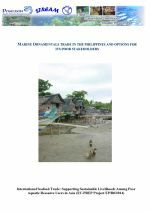 This report provides insight into the status of the marine ornamental fish trade in the Philippines, including policy environment, collection, distribution channels, markets and constraints. The report also reviews the livelihoods of poor stakeholders in market chains including economic and financial aspects, natural and physical resources, livelihood patterns, social structures. 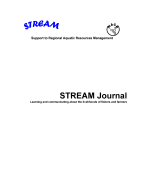 The report provides recommendations for policy makers and stakeholders in improving the livelihoods of poor stakeholders in marine ornamental fish collection and market chains and resource management. In this issue: Policy development as a theme and policy briefs as a genre. Decriminalising Cambodian family-scale fishers through a livelihoods approach to law reform. Longer pond leases in Orissa. One-stop Aqua Shop - a "one-window delivery" service center for aqua-farmers and fishers. Fisheries and aquaculture policy formulation process in Pakistan. Improving the international marine ornamental fish trade to sustain and improve the livelihoods of poor people involved in the trade. About the STREAM Journal. About STREAM. This story comes from Lake Keenjhar near Thatta town Sindh Province in Pakistan. It contrasts the lives of women in the fishing village of Chilya with the life of an influential business man with a fish farm on the opposite side of the highway. A bold bid by women in Kandhkelgaon Village, West Bengal, to break out of their poverty trap. This story describes how women who could no longer make a living from weaving turned to aquaculture. Success came, not just through income generation but by reducing the cost of being poor. The story highlights the influences that constrain and enhance development, including the sheer bravery and entrepreneurial spirit of people who are poor.